Be the first to hear about their new releases and deals. 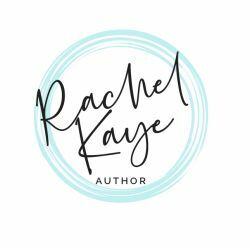 Download the Booksprout app and search for Rachel Kaye today! Rachel Kaye's love of reading led her to writing her own stories. To avoid housework while the kids are at school, she is often found holed up in her writing cave, bringing life to all the characters talking up a storm in her head. She lives in Australia with her husband and two children. Her hobbies include decorating the numerous amount of notebooks she has accumulated over the years with ridiculous amounts of washi tape while concocting the next story to write.